This brings the number of MNCs to 78 with approved investment of RM11.7 billion since 2011. InvestKL chief executive officer Datuk Zainal Amanshah said between 2011 and 2018, RM6.63 billion or 57 per cent of the RM11.7 billion investments had been realised. “Despite being clouded by several external factors – including uncertainties in the US and Europe, the US-China trade war and Brexit – Malaysia continues to attract MNCs to setup their business here due to its strong fundamental. 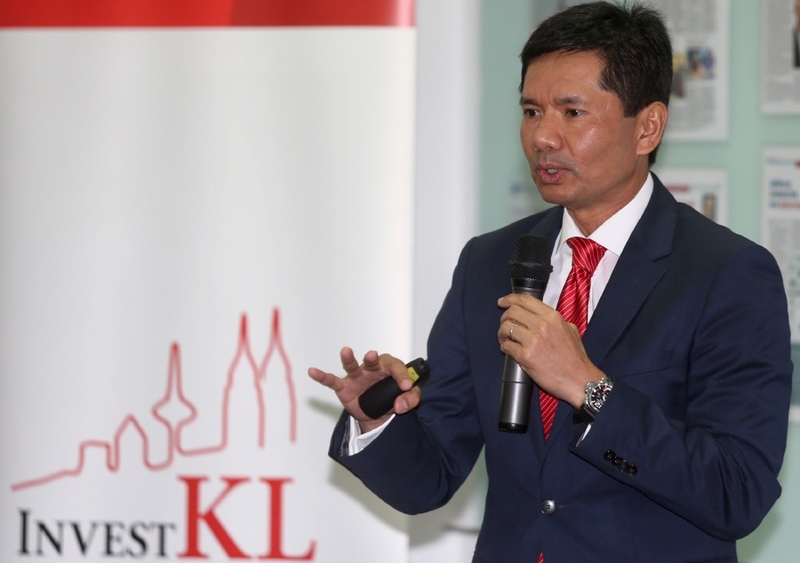 “Kuala Lumpur remains a key investment destination. Our fundamentals remain strong and stable. Malaysia has considerable advantages in terms of location, infrastructure quality and resources,” he said at a briefing on InvestKL’s 2018 performance here today. The 12 MNCs are Orange of France, MetLife of the US, Electrolux of Sweden, Accenture of Ireland, PERSOLKELLY of Japan and the US, China Pacific Construction Group and United Imaging of China, Wood of the UK, Pickles Auctions of Australia, and Bertling and Zalora of Germany. In 2017, InvestKL attracted 12 MNCs with approved investment of RM2.2 billion. For 2019, Zainal said InvestKL had targeted to attract 13 MNCs. “InvestKL remains focused on attracting high value, high skilled and innovation-led investments to create quality jobs for Malaysians. “Despite a slower global economy and the US-China trade tensions, our investment pipeline is resilient as investment decisions are made over a longer period. We are confident of attracting similar investments this year,” he said. InvestKL is focused on attracting MNCs from the US, Europe, China, Japan and South Korea. “These countries are strong in the six sectors that we are pursuing. These sectors are smart technologies, consumer technologies, e-commerce, medical devices, industrial automation as well as energy and renewables,” he said. Zainal said investors were positive about Industry 4.0 which aims to make Malaysia the prime destination for the manufacturing and services industry. “Launched by the Ministry of International Trade and Industry last year, the blueprint which outlined concrete measures to enhance our value propositions to investors in Industry 4.0, such as artificial intelligence, big data analytics, Internet of Things, cloud computing and cyber security,” he said.